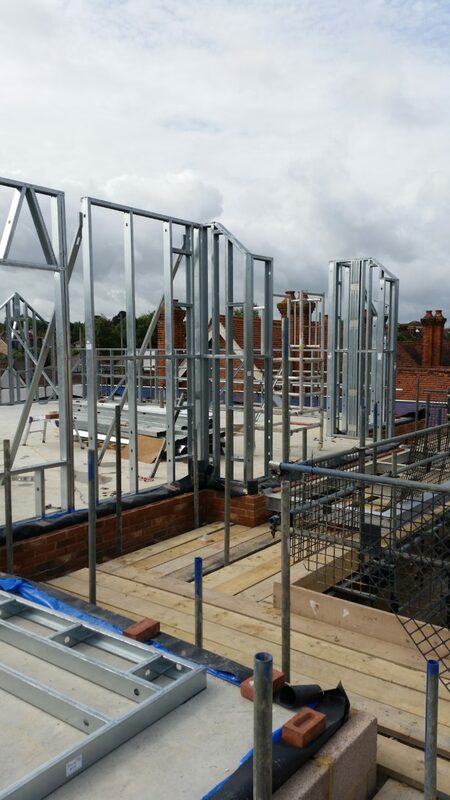 We are now constructing the 2nd floor LBS structure on our project on Ashtead high Street new M&S store. 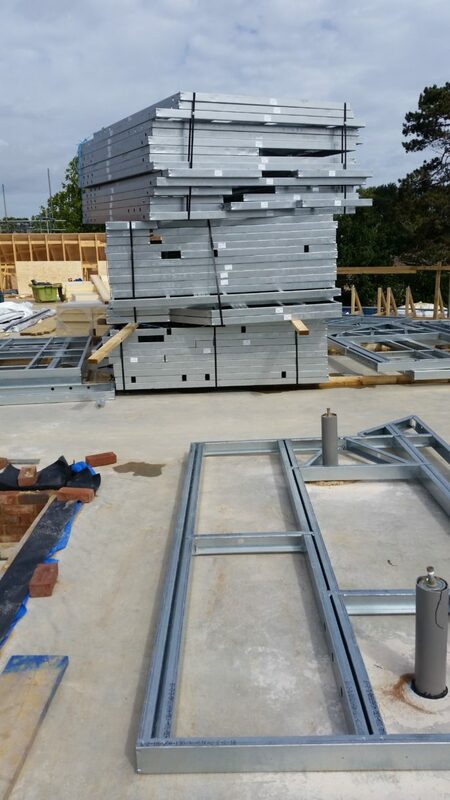 #SFS LBS as it’s commonly known (not by #Metsec) is a self supporting heavy gauge metal stud and track system that forms a structure on top of either more metal framed system or a concrete slab, depending on how the building has been designed. 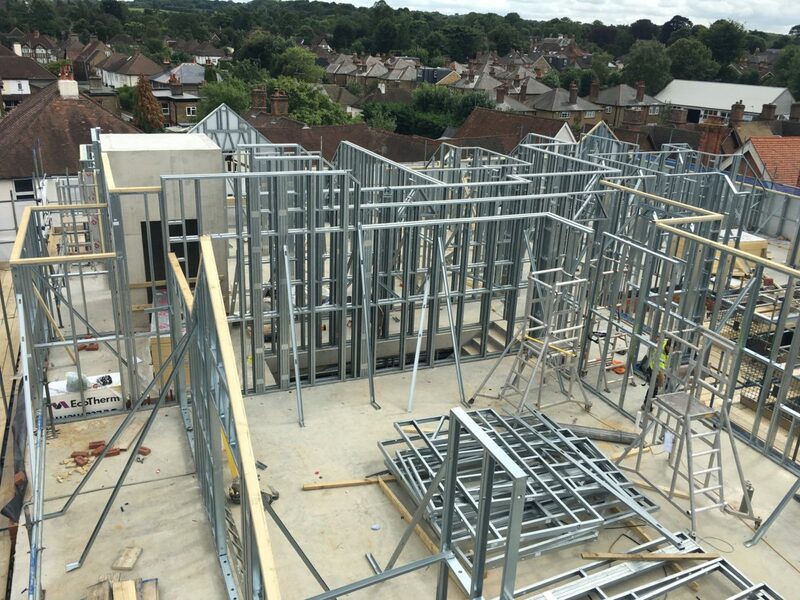 This project is a concrete framed building with SFS infill to the external facade on the ground and first floors and then an #SFS LBS on the 2nd floor. This is a particularly complex multi level slanted and pitched roof with a mixture of timber frame and pre-fabricated SFS LBS walls. 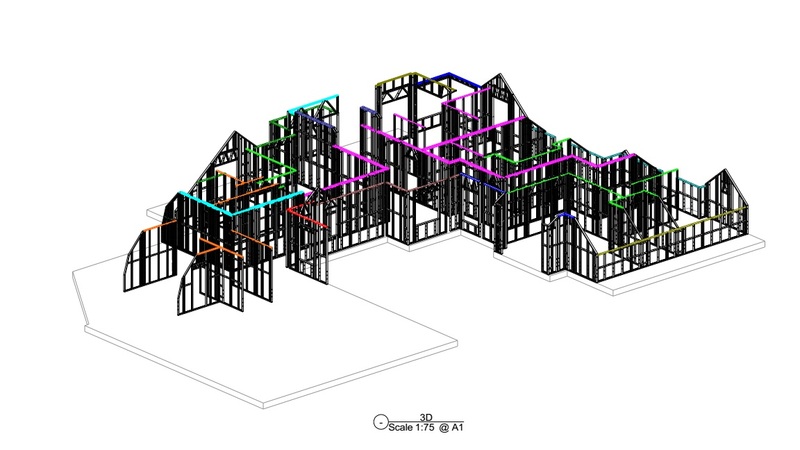 As you can see from the 3d model picture and the attached as built photo we’re building the walls and then a timber roof structure will be laid on top. This isn’t the usual way to construct the building although this isn’t a typical LBS structure as you can see. 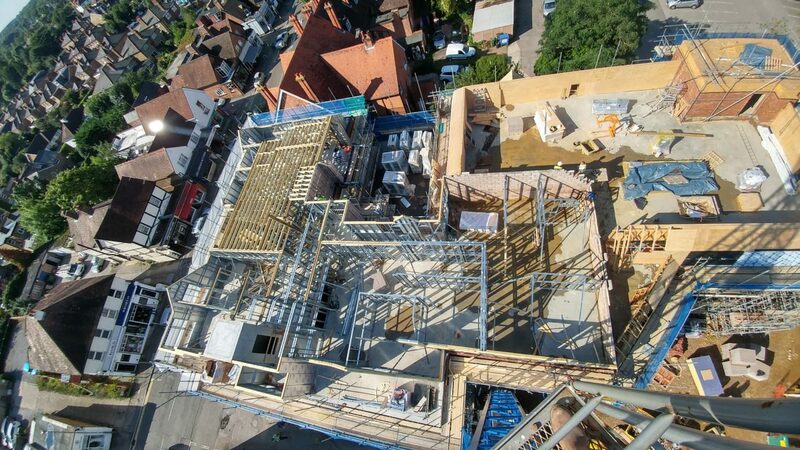 The ariel view does show the extent of the #SFS LBS (not #Metsec) and the timber roof is already being installed. We have also been awarded the drylining package, externally insulated render system (#EWI), celings and are pricing a few more elements on the external #facade, which will be progressed a little more once the top floor is watertight. 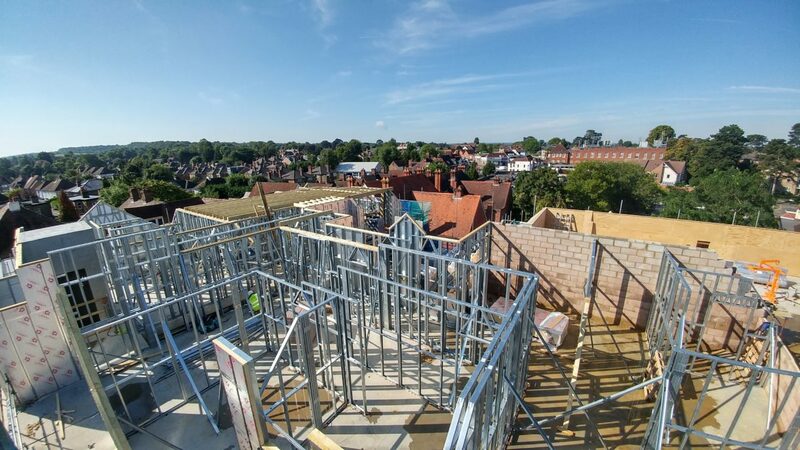 Hutton & Cawood are a new client to us and we love their proactive and can-do attitude on site and we’re working well with them to progress the works as quick as we’re able. 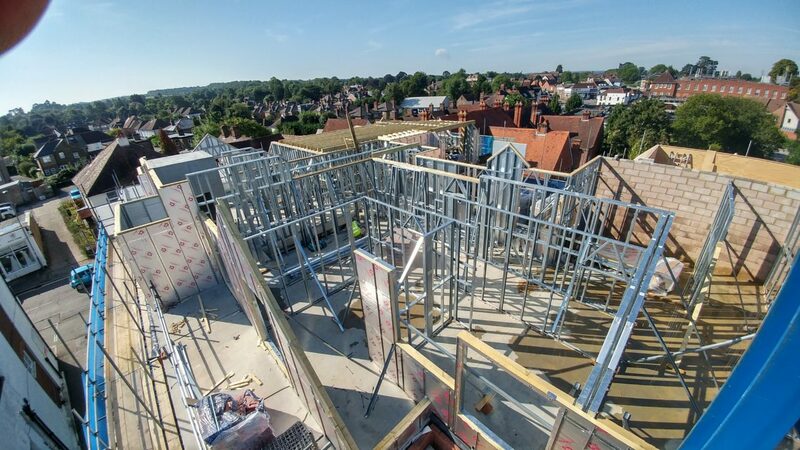 We’ve had a small number of men on site since the beginning now and we hope to increase numbers once the complex timber roof joists have been installed.